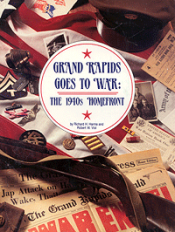 The Grand Rapids Historical Commission offers a number of books. To order items, please use the order form. 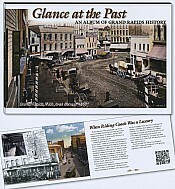 A full-color, 64-page memory book, presenting an album of historic Grand Rapids sites, events, and people-snapshots and stories about what it was like to live in early Grand Rapids. Each of the thirty, little-known stories about the city are accompanied by one or more historical photographs. 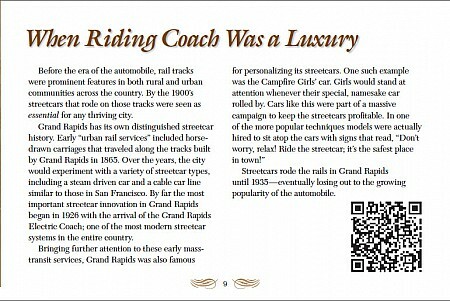 Thirteen stories include QR-codes that allow a smart-phone to bring up an audio podcast, additional photos, and facts about the city. This 5 by 11 inch, spiral-bound field guide, covers 48 ethnic groups in West Michigan and was originally developed to accompany the Museum's permanent exhibit, Newcomers. Continual requests by the public for copies to purchase led to the publication of the book. The topics covered for each group are: countries or regions of origin, including a map; languages spoken; geography and politics; leaving and arriving; settlement in West Michigan; population size; and where to find more. 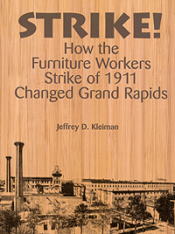 At the beginning of the 20th century, furniture factories dominated the physical and economic landscape of Grand Rapids. More than 60 factories employed more than 5000 workers making it truly the �furniture capital� of the nation. The workers started asking for a nine-hour day, a 10% raise, and the abolition of pay based on piecework. Factory owners refused to make concessions to any of the demands. In mid-April 1911, growing tensions between furniture manufacturers and factory workers erupted in a city-wide strike that affected nearly every company and lasted throughout the summer, bringing much of the city to a standstill for four months. The story of the Vietnamese of West Michigan based on local records and personal interviews. It tells the story of the Vietnamese refugees who fled their country after the fall of Saigon in 1975 and how they made new homes in West Michigan. The text is written in English and Vietnamese. 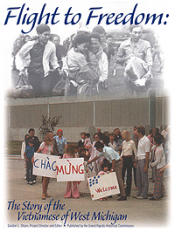 A one hour DVD documentary titled From Saigon To Sanctuary accompanies the book. 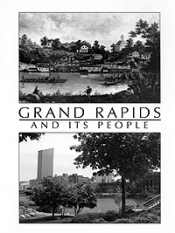 A young people�s history about the people who arrived in Grand Rapids written for the Grand Rapids Public Schools at 3rd - 8th grade level. CD included with supplemental materials, learning activities, and teaching aids. 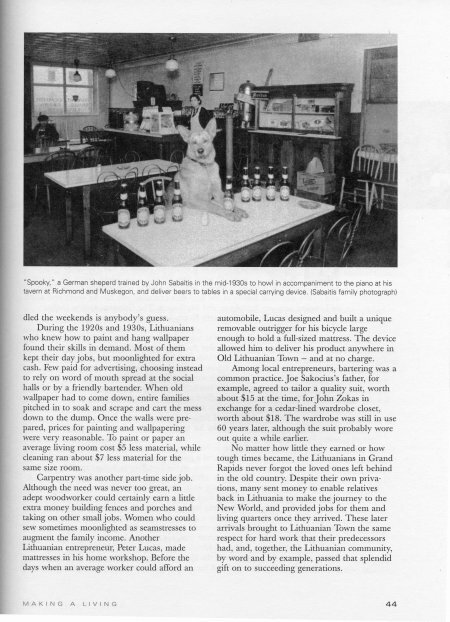 History of the Lithuanian Community in Grand Rapids from the 1880s to World War II. 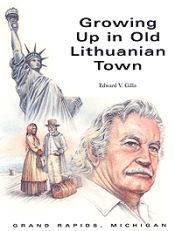 Author Edward Gillis describes his experiences growing up in at the beginning of the 20th century in a Lithuanian immigrant neighborhood on Grand Rapids near west side. 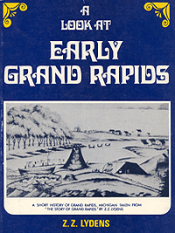 Reprint of the life history of a well-known early Grand Rapids resident compiled by his three daughters. 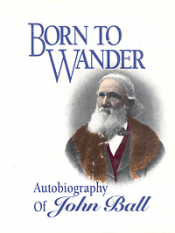 A rich personal story of the man who writes of traveling throughout eastern North America from Georgia to Montreal, journeying over the Oregon Trail in 1832 where he became the first teacher in Oregon when he taught the children of Dr. John McLoughlin at Fort Vancouver. 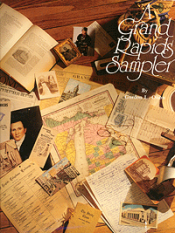 A collection of historical vignettes based on original documents, maps, and photographs about people, places, and events that are uniquely Grand Rapids. Each vignette is complete, and each tells of a moment in the life of this community. Grand Rapids Goes to War allows historic images to recount the far reaching impacts of World War II. Each image is captioned so you can see and understand how this war touched every aspect of life and how the people of the Grand Rapids area responded to the nation's "call to arms." 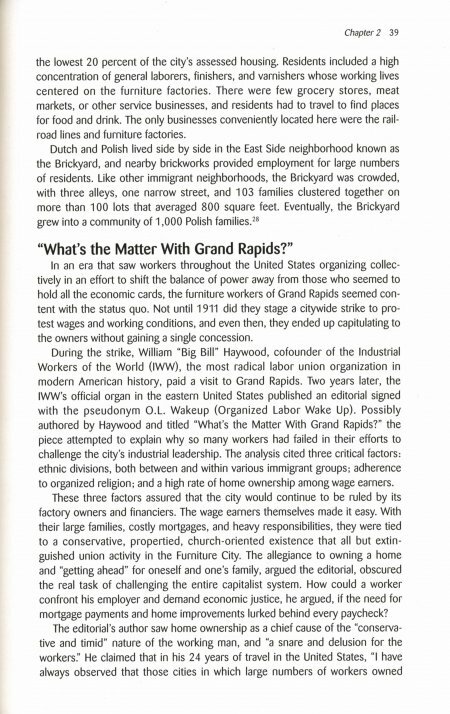 A short history of Grand Rapids, taken from Z.Z. Lydens' The Story of Grand Rapids .